It’s not often that an artist undergoes a musical reinvention without some kind of personal strife or career epiphany. But in the case of songwriter and producer Caroline Rose and her incredible new album LONER, it wasn’t change just for change's sake. It was simply a matter of being herself. Rose released her debut album a few years ago, the somewhat more Americana-leaning I Will Not Be Afraid. Perhaps that title got into her subconscious since LONER finds her abandoning rules and preconceived notions and expanding things sonically. On LONER, she adds some synth lines and organ patterns to her rockabilly guitar style, bringing texture and intrigue, and creating a looser feel to the album; it keeps the engagement level high. “I felt a bit disillusioned with my music; it didn’t sound like my personality," admitted Rose, before she began the process of writing the new album. By embracing her humorous nature and getting more aggressive and adventurous with her music, she was able to create something that felt more natural and true to herself. In her video for one of the album’s many highlights, “Money,” Rose plays each of the characters and you get an idea of her “no rules” personality. It’s fun and funny, yes, but visually it also represents how much freer Rose is with her music these days. LONER plays like a bit of an autobiographical snapshot of the last couple of years for Rose. The characters and imagery in songs like “More of the Same” and “Getting to Me” are so vivid and clear, showcasing her songwriting chops in a big way. “Bikini” addresses the topic of sexism with a healthy dose of humor that doesn’t make light of the subject, but further establishes its ridiculousness. “We’re gonna fly you off to Tokyo," sings Rose, "You’re gonna travel all over the world/We’re gonna put you in movies and our TV/All you’ve got to do is put on this little bikini ... and dance!” It's all the more impressive that Rose conveys this message blending a B-52's vibe with some surf-rock guitar. By calling the new album LONER, Rose reinforces how she fails to identify with the characters she’s written about in these songs. However, indirectly, she has made herself more accessible and real to her fans, both old and new. Expect to see this impressive album on many “best of” lists come the end of the year. 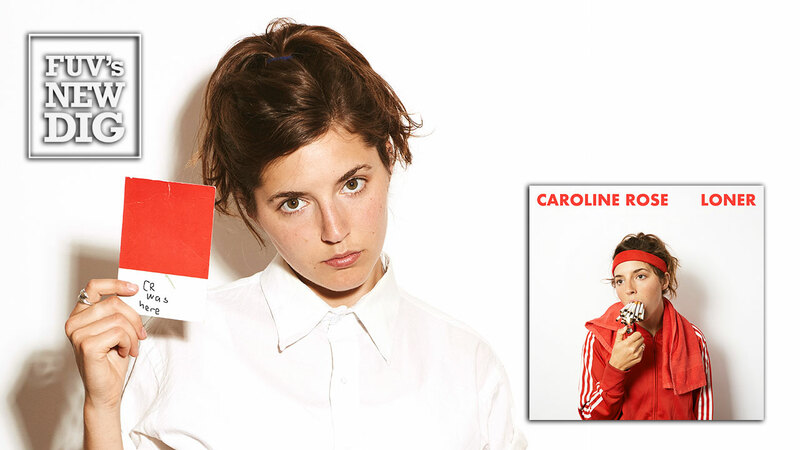 Caroline Rose is also today's FUV Live artist. Listen to her Studio A session, tonight at 8 p.m. on WFUV (90.7FM and wfuv.org) or on-demand — with video — in our online Vault.